Whitehaven Undermount Cast Iron 29.6875 0-Hole Single Bowl Kitchen Sink In White The Whitehaven apron-front kitchen sink features a streamlined and versatile farmhouse style. The Self-Trimming design requires only a simple rough cut, overlapping the cabinet face for beautiful results. The tall integral apron also acts as a drip edge to protect the cabinet from water damage. A large single basin accommodates large pots and pans, while the sloped bottom helps with draining and cleanup. Crafted from enameled cast iron, this sink resists chipping, cracking, or burning for years of beauty and reliable performance. 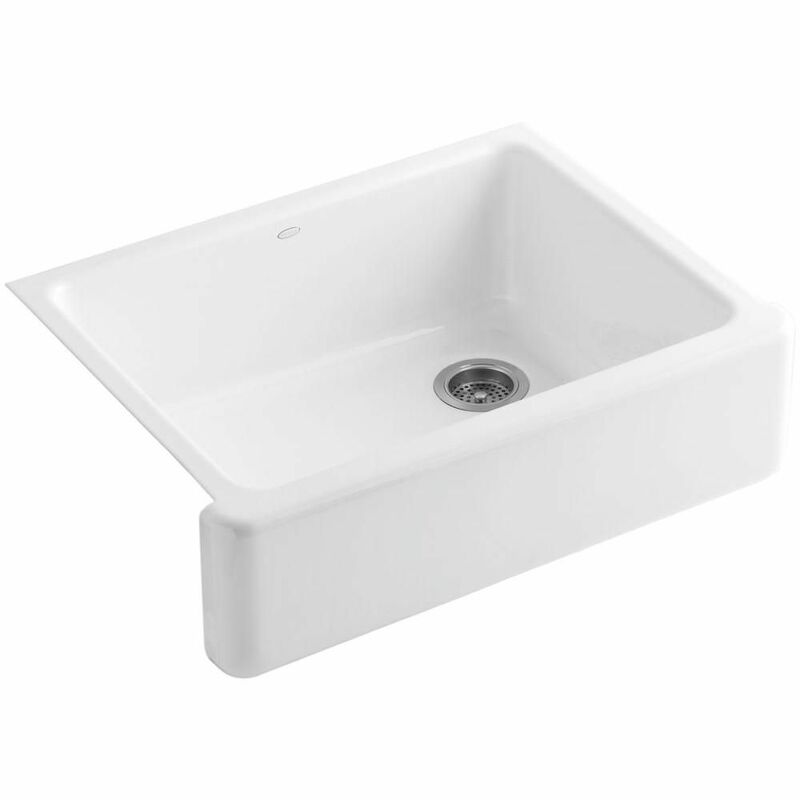 Whitehaven Undermount Cast Iron 29.6875 0-Hole Single Bowl Kitchen Sink In White is rated 4.5 out of 5 by 41. Rated 5 out of 5 by KD from I love it! ... I love it! Rated 5 out of 5 by Carrie from My favorite farmhouse sink! I’ve ordered three of these -... My favorite farmhouse sink! I’ve ordered three of these - in different sizes - for different remodel projects. By far the best sink! Beautiful and indestructible. Home Depot was the only place where I could find this size to be shipped immediately. Rated 5 out of 5 by Susan from It’s beautiful! I love it!... It’s beautiful! I love it!